I mean, I own it. But sense I can’t play online I haven’t really been able to play it yet. Don’t worry at least there’s a arcade mode on the way. Yeah, now we just need Sharon, Area, Ace, a Street Fighter guest, some of the more interesting Fighting Layer peeps, and a couple newbies and we are good to go! Then we wait for Fighting EX Layer 2 on PS5, XBox Scarlet, and Nintendo Switch! thank you for the disclaimer. I’m just excited for all of the things they could do with this. I want it to become a franchise, it feels like another game i can get REALLY into, like Mortal Kombat, Street Fighter, Darkstalkers, and Tekken. Vulcano Rosso and Pullum Purna gameplay on a new stage. 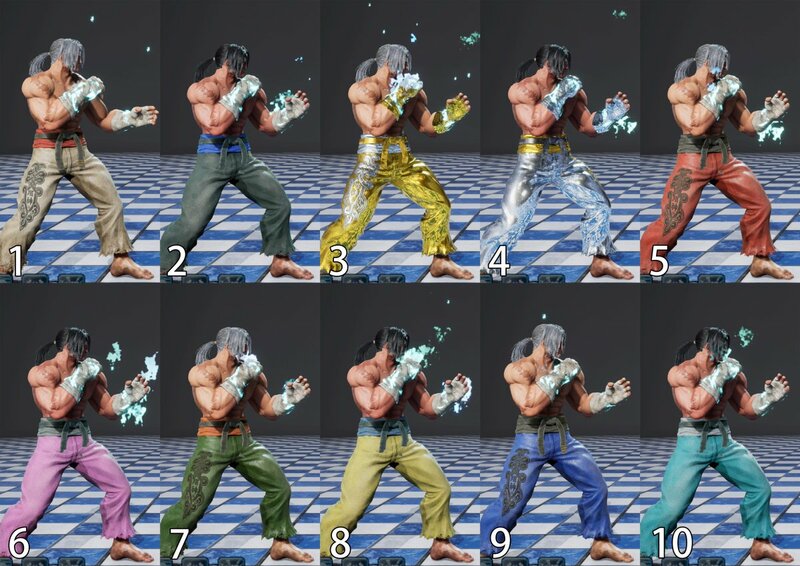 Colour samples for each character. The best way to explain the game I think is imagine a Street Fighter game but with running instead of just walking. Add the gougi decks which give you playstyle changing buffs, and you have FEXL in a nutshell. It doesn’t play like KoF, but if you want to, there’s a gougi deck for that. Want the ability to escape high damaging combos? There’s a gougi deck for that, too. The game becomes less about the character matchup and more about you vs the player moreso than other fighters. I’ve been with Arika since the ole SFEX days in the arcade. If you have any other questions, just lemme know. So all the moves, button layout, blocking, dashing, jumping is like SF? Yes, and you run just by tapping Forward Forward. Cool! I guess Ill go ahead and get the light version then. Thanks! I was gonna get the light verison but I said F it and all out! If anyone wants to play a fun , casual set, try out different characters and just help each other learn… hit me up. Anyone eant to play a set? Just looking to have fun and learn the game, Im not looking to try wreck or get wrecked, just looking to learn to game. No, not that I could find. You can choose English… but thats text menu only. Any character words spoken are still in Mandarin or whatever language its in. Unless Im missing something… Id dint see an option and I searched for it. Does anyone speak Mandarin or whatever language it is. Or know someone who does that can translate. Any character words spoken are still in Mandarin or whatever language its in. Japanese. It’s a Japanese game. Don’t be disrespectful. That’s not disrespectful. Nothing I said was disrespectful. But here you come being just that as usual. Most games and Movies have the option for Mandarin language subtitles…so thats the first option i mentioned. rarely do you ever see “Japanese” sub title options on any game or movie.